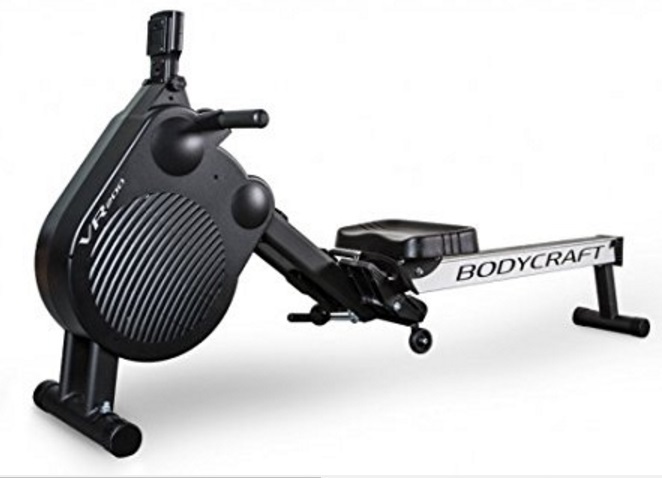 The BodyCraft VR200 is the second up in this reputable brands line of rowing machines. 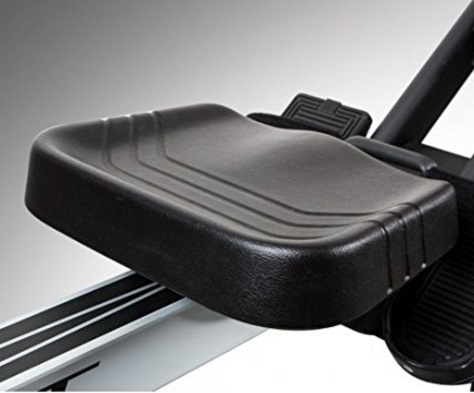 But while the VR100 is a pretty good rower at the budget end, and the VR500 is an awesome machine at the top end, the VR200 is a middle-of-the-road piece of equipment. 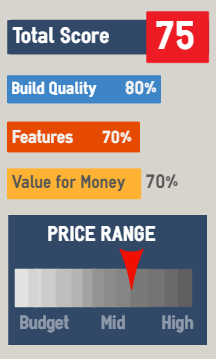 If it was $150 cheaper it would be a great buy, but when it's pitched directly against the undisputed market-leader from Concept2, then it has to be something special to tempt buyers. But as good as this could be, that is, it's built well with some quality components, it doesn't really cut the mustard. But we're getting ahead of ourselves. The good points are this is an easy rower to assemble and took just under 30 minutes without the need to be an expert at do-it-yourself. The frame is sturdy and the aluminum beam allows for a smooth and quiet ride. The rowing position is good, the seat is... okay if not the best around. But one positive is that it sits at 15.5 inches off the ground so is a good height if your knees or back aren't what they used to be. 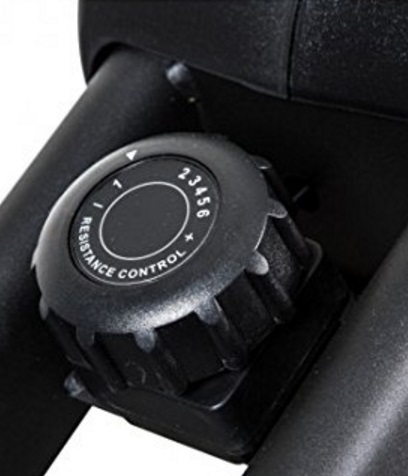 The all-important footrests are well designed and will keep your feet in place and situated wide enough apart for comfortable use. The handle is well-padded and thick so hand blisters shouldn't be a problem even with regular use. The 6 resistance levels are provided by a combination of air and magnets and is quiet for a rowing machine that uses air. However, the resistance level is selected manually by turning a knob in the central column which means you have to stop rowing if you wish to alter the setting. This isn't a deal-breaker for most because you can raise you heart rate by increasing stroke rate anyway - plus it's a myth that the highest resistance levels deliver the best results. The console is a big let down in our view. You'd expect more from a rowing machine costing this much. Yes it displays all the data you would such as time rowed, distance in meters, calories 'burned', time over 500m, number of strokes, and strokes per minute (SPM). 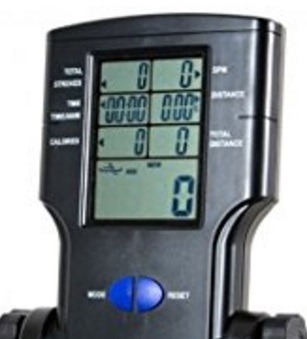 The LCD screen is large enough to read easily when working out, and it's pretty easy to use. 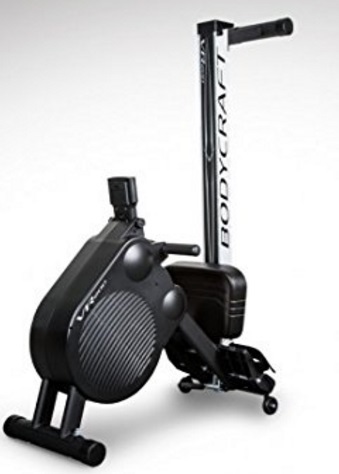 The BodyCraft VR200 is the same price as the Concept2 Model D - and that's just about the only thing it has in common with the market-leader :0( Actually, that's a bit harsh, it does have some good features and it's built well and will certainly last for a few years - but it's a bit dull to be absolutely honest and doesn't have anything that would tempt us away from buying the above mentioned Concept2. ​Built-in fan keeps you cool. The seat is okay(ish) - we've seen better on models on this price range. For just $1 more you can get your hands on the far better Concept2 Model D which has so much more to offer including online features and longer warranty - that's why we thinks it's a no-brainer really. We've yet to receive comments from other owners. Do you own a VR200? Let us know what you think.